Arguably the greatest all-around athlete in the annals of Ozark prep sports, Hillcrest's Dorial Green-Beckham (with ball, in orange) ended his career as the all-time leading scorer in Springfield Public Schools history. EDITOR'S NOTE: This article was originaly published in the Winter 2013 issue of Ozark Preps Illustrated. Next, we instructed the committee that we would be compiling a five-member 1st-Team, five-member 2nd-Team, and five-member 3rd-Team, and asked the committe members to submit nominations for each team. After the nomination process had ended, there were 111 nominations for the boys team. At that point, the final list of nominees was submitted back to the committee for final voting. Each committee member was asked to submit his Top 15 players (ranked in order). A player who was voted #1 received 15 points, while each #2 received 14 points, all the way down to #15, which received one point. After all of the final ballots were submitted, the five boys who received the highest point totals comprised the 1st-Team, while the second five comprised the 2nd-Team, and the players who received the 11th through 15th highest point totals received 3rd-Team status. Any player who received at least one point in the final voting, but who was not ranked in the top 15, received Honorable Mention status. One thing is readily apparent: there has been A LOT of basketball talent come through the Ozarks in the past 70-plus years. There is no objective way to compare players from different eras. It is simply not possible. Some of the best shooters in state history did not have the three-point line to boost their point totals. With class basketball, is it more impressive for a Class 1 player to put up monster stats against fellow Class 1 competition, or is it more impressive that a Class 4 or 5 player put up solid stats against big school competition? Therein lays the subjectivity of this list, as well as any similar type of list. JOHN BROWN, Dixon (1967-69)—The only player to be selected to the 1st-Team on every ballot submitted, Dixon’s John Brown was a standout 6-foot-7 scoring machine in the late 1960’s. Brown, who scored a career record 1,979 points in his standout career, scored 1,133 points in the 1968-69 season alone, in which Brown led Dixon to a 36-0 record and a Class M state championship. Brown, who scored 32 points in the state championship game that season, averaged over 31 points per game for the season. The 443 field goals made by Brown in the 1968-69 season are still a state record, and Brown’s 247 made free throws that season still ranks third in the state annals. 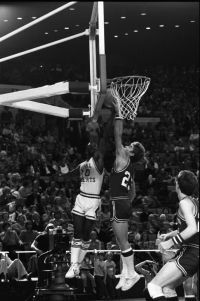 Brown, who once scored a state record 43 points in one half against Vienna on Valentine’s Day 1969, went on to a standout career at the University of Missouri and was eventually drafted by the NBA’s Atlanta Hawks. GARY “CAT” JOHNSON, Joplin (1975-78)—Gary Johnson earned his nickname for his cat quick moves in running the point for some powerful Joplin Memorial teams in the late 1970’s. Johnson led the Eagles to three straight Class 3A Final Fours, and two straight state championships in 1977 and 1978. Johnson scored 18 points in the 1977 title game to lead Joplin, which finished off a 31-1 season with an 80-73 win over Charleston. Johnson then enjoyed a standout senior campaign, averaging 32.5 points per game in four state tournament games to lead Joplin to an undefeated 31-0 championship season. Johnson scored 61 points in two games at the 1978 Final Four, including 31 in Joplin’s 97-69 state title game romp over McKinley. Johnson, who was named the Missouri state Player of the Year as a senior, scored 50 points in a state quarterfinal victory over Marshfield at McDonald Arena in 1978. Johnson once dished out 18 assists in a 1978 game against Lebanon, a single-game total which still ranks fifth in state annals. Johnson, who enjoyed a standout collegiate career at Oral Roberts University, was drafted by the NBA’s New Jersey Nets. 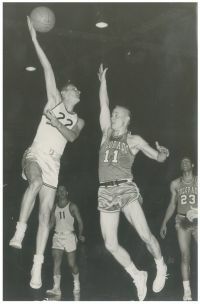 HOWARD ARNDT, Republic (1961-64)—Standing 6-feet-4 inches, Howard Arndt was a dominating presence down low for some powerful Republic Tiger teams in the mid-1960’s. Arndt, who still holds the Republic school record with 2,225 career points, teamed with 2nd-Team honoree Don Carlson to lead Republic to a 34-1 record and Class M state championship in 1963. 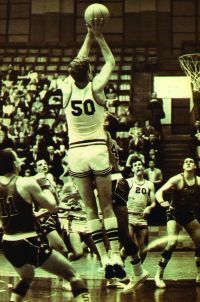 Arndt, who averaged 18.5 points per game for his career, enjoyed a standout senior season in 1963-64 in which he averaged almost 30 points and 19 rebounds per game. Arndt, who was a two-time All-State selection, scored 45 points in a March 1964 Class M tournament game, which was a state record at the time. Arndt was named a 2nd-Team Parade All-American as a senior, and went on to play collegiately at Kansas. DARRELL PAUL, Bradleyville (1962-65)—Considered by many longtime observers as the greatest pure shooter in Missouri prep basketball history, Darrell Paul helped put Bradleyville basketball on the map a few years prior to “The Hicks from the Sticks” leaving their mark on Missouri basketball history. As a freshman, Paul led Bradleyville to a 30-4 record and the 1962 Class S state championship. Paul, who averaged 23.4 points per game for his career in an era without the three-point shot, averaged 25.6 points and 14.5 rebounds per game as a junior for a 29-5 Eagle team in 1963-64. As a senior, Paul averaged nearly 31.5 points per game in leading Bradleyville to a 28-3 record. Paul, who was a 1st-Team All-State honoree as both a junior and senior, was named a prep All-American as a senior. Paul’s record four-game total of 121 points at the Blue & Gold Tournament stood from 1963 until 1994, when it was broken by a single point. Paul, whose single-game high total was 56 points, played one season for the University of Arkansas freshman team before transferring to John Brown University. Paul played his senior season at Missouri Southern and, unfortunately, died of cancer at the age of 27 in 1975. 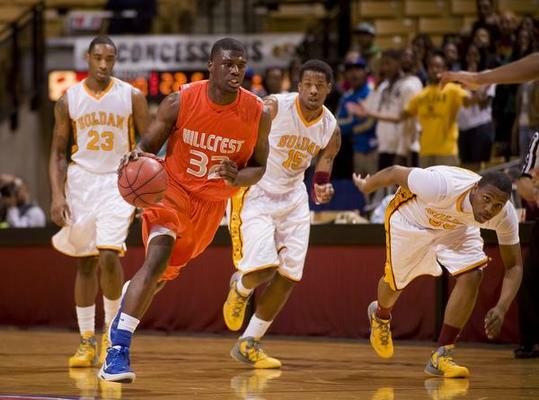 DORIAL GREEN-BECKHAM, Hillcrest (2009-12)—Arguably the greatest all-around prep athlete to ever compete in the Ozarks, Dorial Green-Beckham was a dominating force on the hardwood for four years for the Hillcrest Hornets. A three-time All-State selection, Green-Beckham ended his career as the all-time leading scorer in Springfield Public Schools history with 2,092 career points. As a sophomore, Green-Beckham scored 21 points and grabbed 13 rebounds in leading Hillcrest to a 2010 Class 5 state championship game victory over Oakville. Green-Beckham, who was named the 2009-10 MaxPreps Male Athlete of the Year, led Hillcrest back to the Final Four as a senior, where the Hornets were the Class 4 state runner-up. The highest rated football recruit in the country according to multiple recruiting outlets, Green-Beckham elected to remain in-state and is currently playing football at the University of Missouri. EDITOR'S NOTE: After being dismissed from the Missouri football team in April 2014, Dorial Green-Beckham transferred to the University of Oklahoma prior to the 2014 season. After sitting out the year due to NCAA transfer rules, Green-Beckham recently declared for the 2015 NFL draft. DAVID COMBS, Bradleyville (1965-68)—The best player on “The Hicks from the Sticks” Bradleyville teams of the late 1960’s, 6-feet-5 inch David Combs averaged 22.5 points per game for his career in leading Bradleyville to a state record 68-straight victories and two-straight Class S state championships in 1967 and 1968. Combs, who is still the Bradleyville school record holder with 2,206 career points, scored 19 points as a junior to lead the Eagles to a 60-47 win over Archie in the 1967 title game. As a senior, Combs averaged over 25 points per game and scored a Class S state tournament record 106 points, including a 31-point outburst to lead Bradleyville to a thrilling 76-73 four-overtime marathon victory over Howardville in the 1968 state championship game. Combs played collegiately at Arkansas Tech. GREG CAVENER, Parkview (1978-81)—Considered by many to be the best player in Parkview’s storied basketball history, Greg Cavener ranks second on the all-time scoring list at Parkview with 1,549 career points. 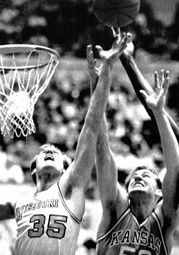 A two-time All-State selection as a junior and senior, Cavener led the Vikings to a 3rd-place finish at the 1981 Class 4A Final Four. Cavener, who was named the 1981 Marty Eddlemon Memorial Tip-Off Club Co-Most Valuable Player, led Parkview to a three-year record of 71-16 in his three seasons on the varsity. Cavener went on to a standout career at the University of Missouri before being drafted by the NBA’s Golden State Warriors. TOM SHULTZ, Glendale (1971-74)—One of the most-prolific scorers in Springfield basketball history during his three varsity seasons at Glendale, Tom Shultz is still the second leading scorer in Glendale history with 1,451 career points. A two-time 1st-Team All-State selection as a junior and senior, Shultz averaged 23.1 points per game as a junior, and then posted a 26.1 points per game average as a senior. Shultz, who is one of two former Falcons to have their jersey retired at Glendale, still holds the Glendale single-game scoring record after exploding for 47 points (on 21-of-23 shooting) in a Jan. 1974 game against Central. Shultz was later a four-year letterman at Vanderbilt. TED YOUNG, Marionville (1979-82)—A solid all-around athlete, Ted Young scored an even 2,000 career points while at Marionville, which still stands as the school record. Young, who averaged 19 points per game for his career, scored 33 points in the 1982 Class 2A state championship game to lead the Comets to a 70-61 victory over Monroe City. Young went on to a standout career at Drury which landed him in the Drury Athletics Hall of Fame in 1987, and has become one of the top basketball coaches in Southwest Missouri. Young, who guided his alma mater to the 2005 boys Class 2 state championship, led the Marionville Lady Comets to the Final Four in 2012 in his first season at the helm. DON CARLSON, Republic (1960-63)—The second member of Republic’s 1963 Class M state champions to be honored, Don Carlson was a two-time All-State selection as a Tiger. Carlson, who scored 2,008 points at Republic, averaged 17.6 points per game for his career. Carlson teamed with 1st-Team selection Howard Arndt to form an intimidating duo for the Tigers’ 1963 state champions. Carlson, who led Republic with 19 points in the 78-63 state championship game victory over Bernie, averaged over 15 rebounds per game as a senior. Carlson was inducted into the Southwest Missouri State University Athletics Hall of Fame in 1991 after a standout career for the Bears. BILL THOMAS, Buffalo (1946-49)—One of the best players of his era, Bill Thomas was a main cog for some powerhouse Buffalo teams in the late 1940’s. Thomas was the leader of famed coach Eddie Matthews’ 1949 Buffalo High School team that won the last one-class state championship in Missouri history, as the Bison defeated Kansas City Rockhurst 57-44 in the state title game at McDonald Arena. Thomas went on to become a three-year starter at Southwest Missouri State, and is a member of the SMS Athletics Hall of Fame, the Springfield Area Sports Hall of Fame and the Missouri Sports Hall of Fame. 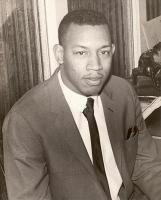 DANNY BOLDEN, Central (1960-63)—An imposing 6-feet-4 inch guard, Danny Bolden was a standout for a couple of Central High’s best teams in school history in the early 1960’s. Bolden teamed with Manny Oliver to lead the Bulldogs to the Class L Final Four in 1962, and was named 2nd-Team All-State after averaging 13 points per game. As a senior, Bolden was a 1st-Team All-State selection after averaging 20 points per contest and once again leading Central back to the Final Four, where the Bulldogs finished in 4th-place for the second straight season. For his career, Bolden scored 1,138 points, which still ranks fifth in school history. 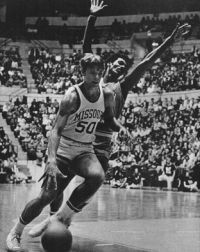 Bolden went on to a successful career at Southwest Missouri State, and was inducted into the SMS Athletics Hall of Fame in 1983. Bolden is also a member of the Springfield Area Sports Hall of Fame. TYLER RULLMAN, Glendale (1987-89)—In just two seasons at the varsity level, Tyler Rullman amassed 1,402 points, an average of 23.8 points per game. A 1st-Team All-State selection in both 1988 and 1989, Rullman was also a shutdown defender, and often drew the assignment of guarding the other team’s best player. Along with 2nd-Team honoree Tom Shultz, Rullman is one of just two Falcons to have his jersey retired at Glendale. The 1989 Marty Eddlemon Memorial Tip-Off Club Most Valuable Player, Rullman was named an All-American after his senior season by Street & Smith, USA Today and McDonald’s. 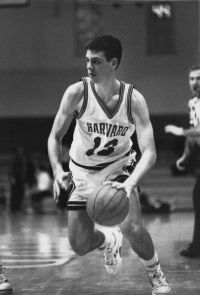 Rullman played collegiately at Harvard. KENT RUSSELL, Nixa (1975-78)—Perhaps the greatest player in Nixa’s storied basketball history, Kent Russell closed his career in spectacular fashion by scoring a school and Class 2A Show Me Showdown record 47 points to lead the Eagles to a 95-56 blowout of Lilbourn in the Class 2A state championship game. Russell, who scored 28 points in the state semifinals, made a Show Me Showdown record 32 field goals in the 1978 Final Four. Russell averaged 30.5 points per game as a senior, and held the school record for career points with 1,685 until it was broken in 2012 by Austin Ruder. Before going on to play collegiately at Drury, Russell left Nixa as the school record holder in career, single-season and single-game points, career, single-season and single-game field goals and career and season field goal percentage. [TIE] THORPE WEBER, Joplin (1965-67)—At 6-feet-7 inches, the left-handed Thorpe Weber was a scoring machine for Joplin in the mid-1960’s. Weber, who was inducted as part of the inaugural class of the Joplin Area Sports Hall of Fame in 2001, closed his career in style by scoring 20 points to lead the Eagles to a 25-1 record and the 1967 Class L state championship. Weber enjoyed an All-American career at Vanderbilt before being drafted by the NBA’s Boston Celtics. [TIE] JOE SCOTT, Gainesville (1955-57)—Nicknamed “The Gainesville Gunner,” Joe Scott was a sharpshooting icon for Gainesville in the late 1950’s. Scott, who is rumored to have scored 58 points in a 1957 game, led Gainesville to its only Final Four appearance in 1957. Playing without the benefit of the three-point shot, Scott still amassed 1,647 career points, which was good for a 25.7 points per game average for his three-year varsity career. 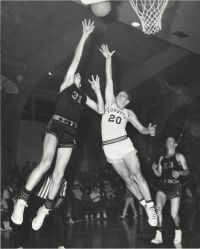 Scott averaged 31.5 points per game and scored 1,104 points in his senior season of 1956-57, the third highest single season total in state history. Scott went on to star at the University of Missouri, where he still holds the Tigers’ single-game record with a 46-point outburst. Scott was inducted into the Missouri Sports Hall of Fame in 2013.